Belgium is the third largest importer of Bordeaux wines in the world by volume, after China and Germany. According to figures from the Conseil Interprofessionnel du Vin de Bordeaux (CIVB) Belgium imported two percent more Bordeaux from July 2010 to July 2011, compared with the same period last year. Calculated by value​​, Belgium is the fifth largest market for Bordeaux wines in the world, almost a tie with the United States and after Hong Kong (326 million euro), United Kingdom (231 million euro), China (231 million euro) and Germany (113 million euro). Worldwide exports of Bordeaux rose by 23% in volume, especially to Asia, with China the leader of growth (+85%). The CIVB describes the 2011 vintage as affected by chaotic weather and hailstorms on April 26 and September 1 that hit in particular the appellations Sauternes, Medoc, Entre-deux-Mers and Haute Gironde. 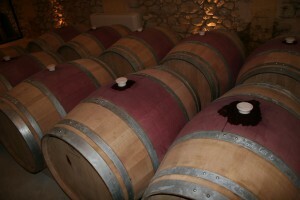 The red wines in particular will be of inferior quality in 2011.